As educational leaders, teachers, and parents, we all want to see our kids succeed. Often in schools, we place our complete focus on academics, which makes sense - we want our children to acquire knowledge, perform well, get into a good college and then succeed in life, right? But what about raising conscientious, responsible, empathetic and emotionally healthy people? Not only are these characteristics crucially important on their own, but they impact academic performance and overall success in life as well. But developing these emotional and behavioral characteristics is a lot easier said than done. There’s no quick, easy, overnight magic spell, but Social Emotional Learning (SEL) is emerging as a promising way to help achieve these lofty feats. Implementing SEL in schools seems to positively impact many facets of student development - leading to not only greater mental health - but also improved academic performance and better behavioral conduct. Long term effects of SEL include stronger positive relationships, greater self-awareness, lower crime rates, and greater high school graduation rates. But how can you implement SEL at your school to reap its benefits? This February, we launched an in-depth webinar series focusing exclusively on SEL. Join the second webinar of the series on March 22 at 10am PST / 1pm EST. Lucky for you, we’ve got you covered - in February, we launched an in-depth webinar series focusing exclusively on SEL. You’ll gain insight into the foundation of our kids’ academic success and emotional well-being, and learn concrete examples of how you can implement SEL at your school and partner with your families to grow great kids. Our first episode, Growing Great Kids Part 1: Social Emotional Learning & the Brain, aired live on Feb 8 at 10am PST. We focused on the brain and how we - as educational leaders, teachers and parents - can help our kids learn to recognize and conscientiously think about their emotions. Click here to get a recording! Our next episode, Growing Great Kids Part 2: Developing a Disposition to Learn, will broadcast live on March 22 at 10am PST / 1pm EST. This second episode will focus on fostering a strong disposition to learn. We will cover topics such as learning styles, temperaments and intelligences with practical tips and examples to help you implement these concepts at school and at home. Make sure to save your spot! Bob Bourgault is the Executive Director for Almond Acres Charter Academy, a K-8 school dedicated to cultivating meaningful relationships between students, parents, staff and the greater community. Bourgault has two Masters degrees: one in Counseling and Guidance and the other in Curriculum, Instruction, and Assessment. With 20 years of experience as an administrator in public schools, 7 kids of his own and plenty of awards, Bourgault is truly an insightful and visionary educational leader. 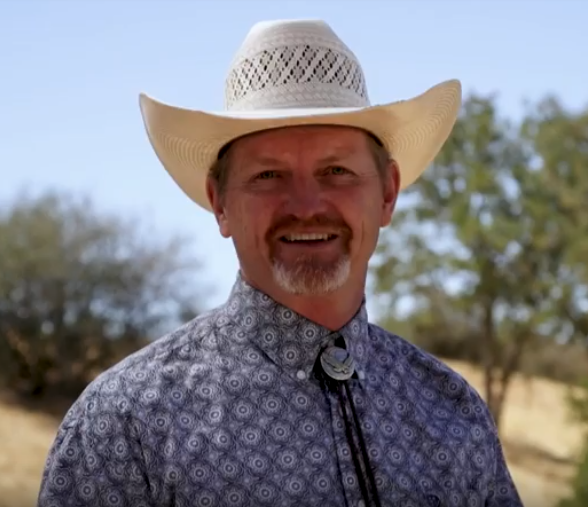 In his free time, Bourgault enjoys spending time with his family and ranching. Here’s a preview of our first webinar, Social Emotional Learning & The Brain, from our speaker. This entire webinar series is free, brought to you by ParentSquare. It's our way of giving back to the school community we serve. If you attend an upcoming webinar, we can give you an SEL Certification of Completion from ParentSquare, along with a curriculum guide that you may use to petition your district for SEL training hours. You’ll need to email zareena@parentsquare.com to request these documents. The content is helpful to all stakeholders involved in raising healthy kids - and this, of course, includes parents! So, we encourage you to share this webinar with your parents.